There are a number of reasons when you may need to burn video, image, and other files on a DVD. If you are using a Windows system, you can choose from a wide range of DVD burning software Windows 10 available. Depending on the features, supported videos formats and compatibility with the OS version, pick up the most suitable Windows DVD burner. Wondershare DVD Creator is one apt choice for burning DVD on your Windows 10, 8, 7 as well as other OS versions. The Mac version of the program is also available. This expert software allows burning all popular formats of videos and images to DVD disc, Blu-ray disc, DVD folder and ISO image file. There are more than 100 DVD menu templates available to give a professional look to your DVD. You can also create additional chapters, add a background image of music and also edit the thumbnails, buttons, and text of the menu. Rotate your videos, crop it, trim unwanted parts, add watermark and make other needed changes before burning using built-in video editor. You can also set the aspect ratio of the video in accordance with the player’s screen. Fast DVD burning speed and real-time preview are the additional benefits. · Burn videos and photos in any format to DVD/ISO/DVD Folder/Blu-ray DVD with super fast burning speed and high-quality output. 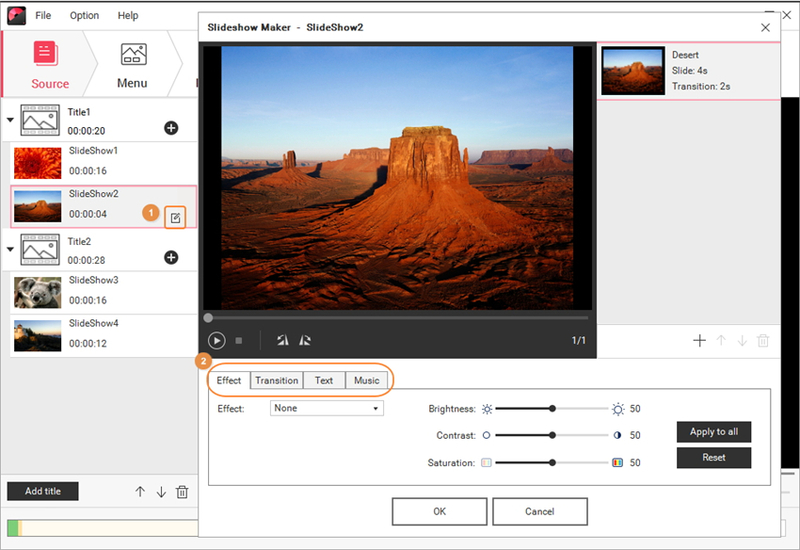 · Create photo slideshow with music and transition effects to DVD easily. · Customize DVD menu with different parameters like title, music, image, etc. · Windows 10/8/7 DVD burner with 100+ free static and dynamic menu templates. 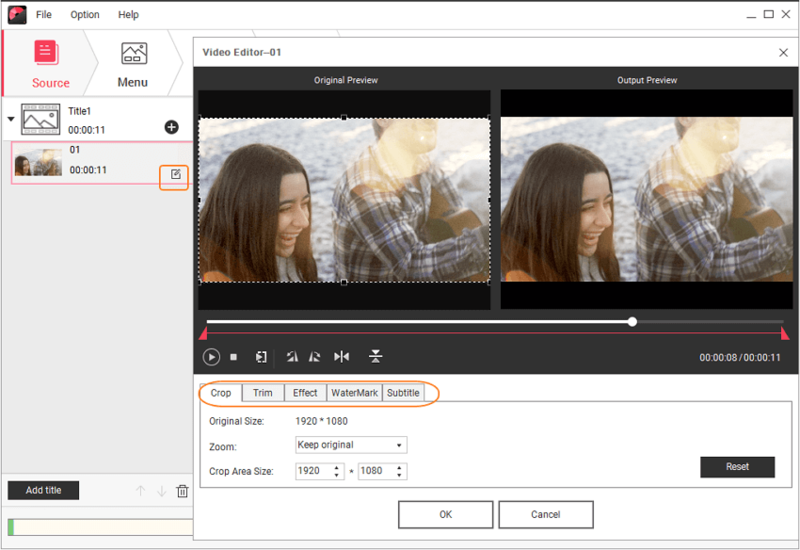 · Built-in editor to personalize videos and photos by Trim, Crop, Rotate, Effects, Text, etc. · Additional toolbox with functions of ISO to DVD, Data Disc, DVD to DVD, DVD to video conversion, One-click to burn Blu-ray Disc, and others. There are a little differences between burning video DVD Windows 10 and burning photos. Below shows both of the steps for you. Step 1 Open DVD burning software Windows 10. 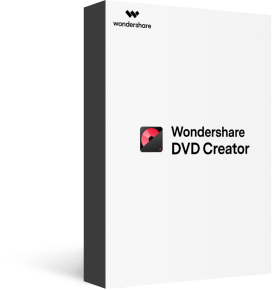 After successfully downloading and installing Wondershare DVD Creator on your Windows PC, click its icon and open it. 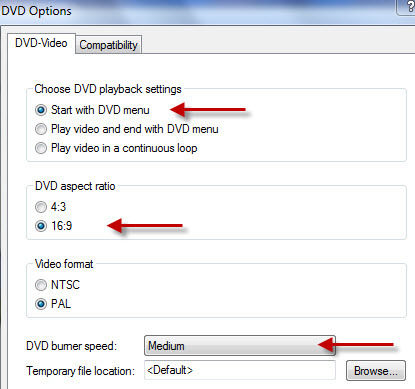 From the window, select the Create a DVD Video Disc option. Step 2 Add videos and edit them. Click the " + " button on the Source tab to browse and open videos from your PC. Or simply drag and drop files to the program. Multiple files can be added. The successful added videos will display as thumbnails and click the pencil icon to open Video Editor window. Crop, trim, rotate, and perform other editing functions and click OK to save your changes. If the editing is not needed, you can skip this part. Step 3 Choose DVD template at DVD burning software Windows 10. The Menu tab shows the available DVD menu template designs on the right interface. Choose the most appropriate one and double-click to apply. Click the icons at the top of the screen to customize the menu further for adding chapters, background image or music, setting aspect ratio and others. Step 4 Preview and clone DVD Windows 10. To check the created disc, click the Preview tab. Just back to previous operations to make changes if you're not so satisfied. Next, move on to the Burn tab and then select Burn to disc option. Set disc parameters like Disc Label, TV standard, Disc playback mode and others from this Burn Settings window. Hit Burn to start burning process. Step 1 Open DVD Creator Windows 10. 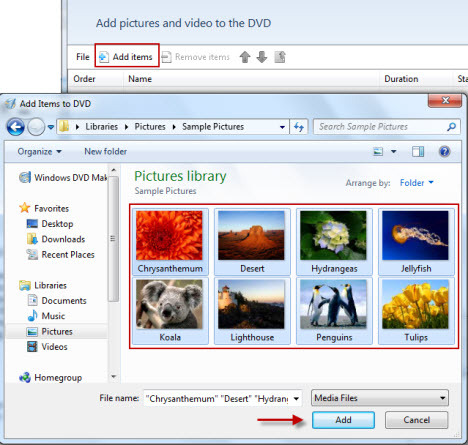 Run Wondershare DVD Creator and select the Create a DVD Video Disc option. Step 2 Import and edit photos. Hit the " + " icon under the Source tab to browse and add images present on your Windows 10 system. You can also drag and drop the files. Once photos are added, you can customize the same. Either click pencil-like icon or select the image, right click and select Edit option to open Slideshow Maker window. Add effect, text, music, or do the transition and click OK to confirm. Step 3 Select DVD menu template at DVD burning software Windows 10. From the Menu tab, you can select the desired DVD menu template and also customize using the icons at the top of the screen. Step 4 Preview and burn photos to DVD. The Preview tab allows you to check if the created DVD is as desired. If needed, go back to respective function and make changes. Move to the Burn tab when all are fine. 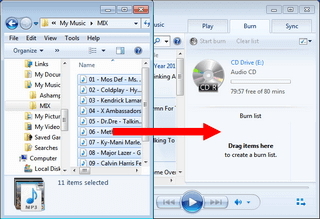 Select Burn to disc option, give a DVD label and select other parameters. Hit Burn to start burning your photos to a DVD disc. 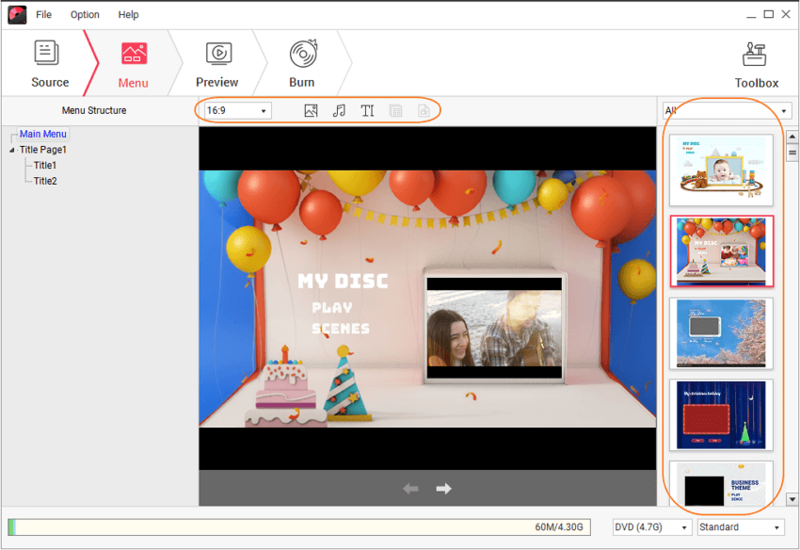 Considering quick and simple steps for burning videos as well as photos to a DVD, Wondershare DVD Creator can be considered as the best DVD burning software for Windows 10 and other OS versions. Developed by Microsoft, Windows Media Player is a media library app and a media player that also supports additional functions, including burning videos, photos, and music to CD and data DVD. Windows Media Player in Windows 10 version comes with disc burning feature that can be used without any third-party software. The software allows burning your files to data DVD and not feature- rich discs. Thus, you can use the created discs only for storage as these are not compatible with the majority of the home DVD players. 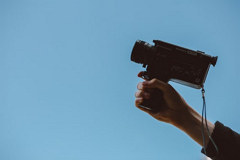 Supported video file types: Popular formats including AVI, MKV, MP4, FLV, WMV, VIDEO_TS, and others. Supported OS: Windows 8, Windows 10, Windows 7, and other versions of the OS. Step 1: Insert blank DVD into the driver or your PC. Open Windows Media Player on your PC. Step 2: At the top menu bar, click the Burn tab and select Data CD or DVD option. Step 3: Open the File Explorer, select the files that you want to burn and drag them to the burn list of Windows Media Player. Step 4: Arrange the sequence of the files in the order you want to burn them to a DVD. 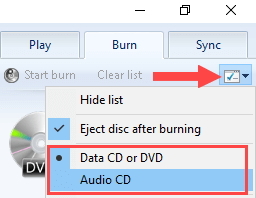 Click Start Burn to create DVD Windows 10. 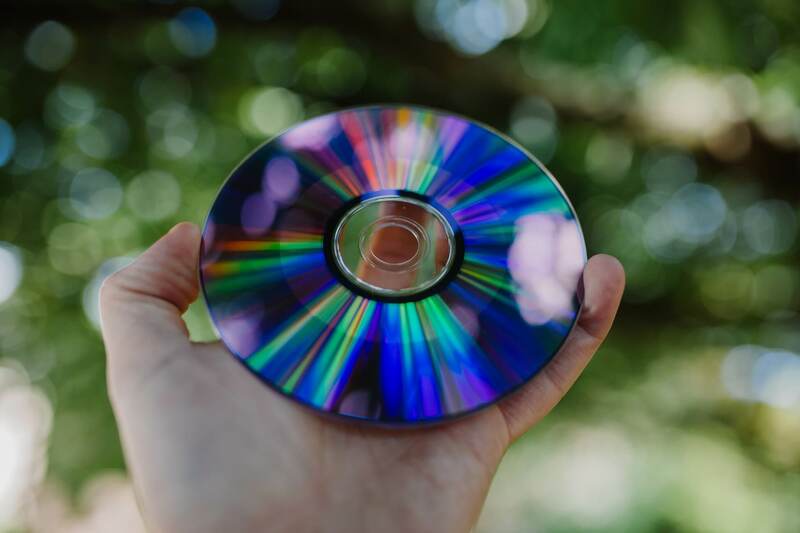 If you are using Windows 7 version of the OS, Windows DVD Maker can be used for burning your files to a DVD disc to play them on a home/portable DVD player. The program features Aero Wizard type of interface that facilitates user through the process of Video DVD creation. Using the software you can also create photo slideshows with background music and transition effects. Options for customizing button and font styles are also there. The preview option is also available. Supported video formats: ASF, WMV, AVI, DVR-MS, M1V, MP2, MPEG, MPE, MPV2, WM. Supported Audio formats: MP3, WMA, WAV, and MP2. Supported picture formats: BMP, JPE, JPEG, PNG, JPG, GIF, PNG, DIB, WMF, WDP, DIB, TIFF, and TIF. Step 1: Open disc burner for Windows 7, Windows DVD Maker on your PC. Select the Choose Photos and Videos option. 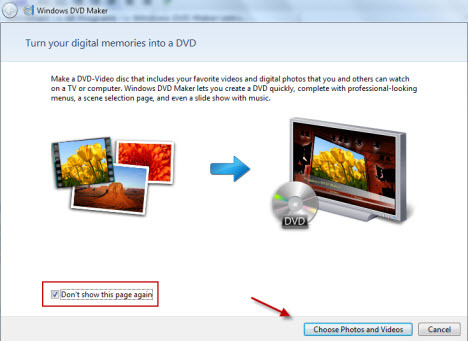 Step 2: From the top menu, click on Add items to insert photos or videos for DVD burning. You can also drag and drop the files to the program interface. Click Next to select Menu and other DVD features. Step 3: Next, give a title to the disc to be burned. Click Options on the bottom-right corner. A DVD options window will open, from where you can select the DVD playback settings options, aspect ratio, Video format, and burning speed. Click OK to confirm all the settings. Step 4: Finally click Burn to start the DVD burning process. If a blank disc is not added, the program will prompt you to do so. Windows DVD Maker is simple and easy to use DVD burning software for Windows 7 with basic needed features. Above listed are 3 different Windows DVD burners. Each of these software comes with different set of functions and features. Depending on what features you need while burning a DVD, you may select a program. The comparison table will below will also help you with your selection. Considering the table above, it can be concluded that Windows DVD Creator is the best DVD burning software for windows. The program facilitates creating professional looking DVD and Blu-ray discs in an effortless manner.